Creating Intelligent Teams: How can we create intelligent teams, rather than just a team of intelligent people? Join us to learn about how you can help lead teams and organizations in ways that harness the potential in the collaboration of available knowledge. Dennis Johnson and Ben Williams led us through an interactive exercise to help us understand different perspectives within a team. What is your land like? What would you want others to know about your land? Travel to other lands: What do you see, feel, hear? Response: What did they get right / wrong? What is our land? What is it like to be here? What’s available from each land? Debrief: How do we export that land to the greater community? 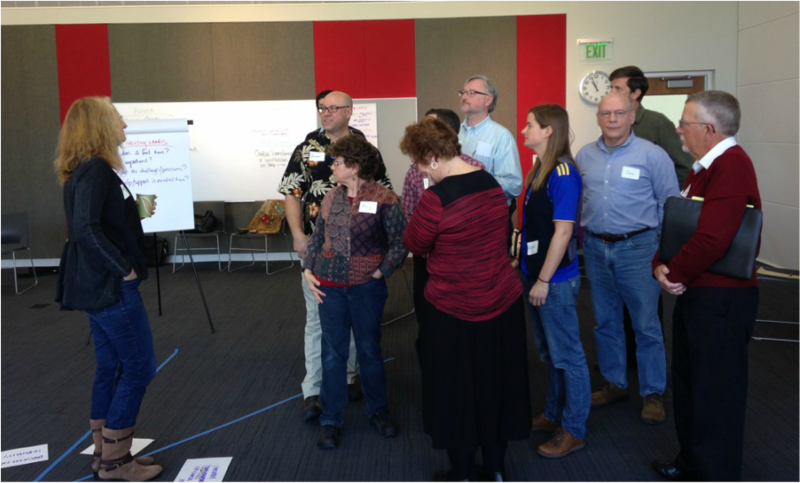 What did you learn about creating a learning lab for group intelligence? How will you make more of “our land”? Share your contribution in 3 words or less.